A fun way to use nail polish! Posted by SeriouslyNails in Lacquer Colors, OPI Seasonal Lacquers, Where the inspiration comes from! My husband brought me a list of things to do with nail polish. He saw it online and didn’t remember where, so I can’t pass on that info. 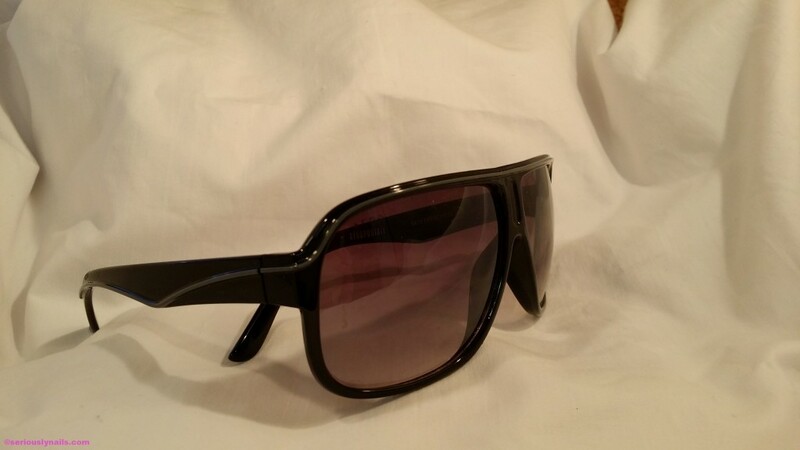 There were some that I knew (use polish to color your keys so you know which ones go to the house, office ect) but the one I hadn’t heard before was to use polish to change up the look of your sunglasses. So I took a old pair and got creative! Taadaaahhh! New, blinged out shades! 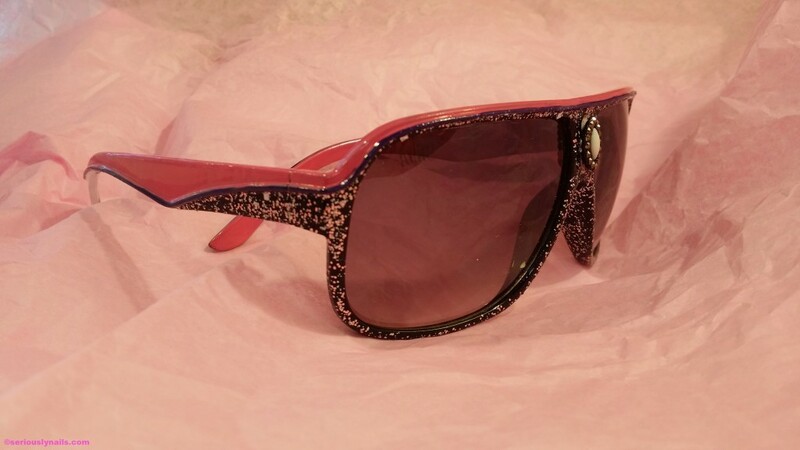 Then, I glued on a bling for the center of my new shades! 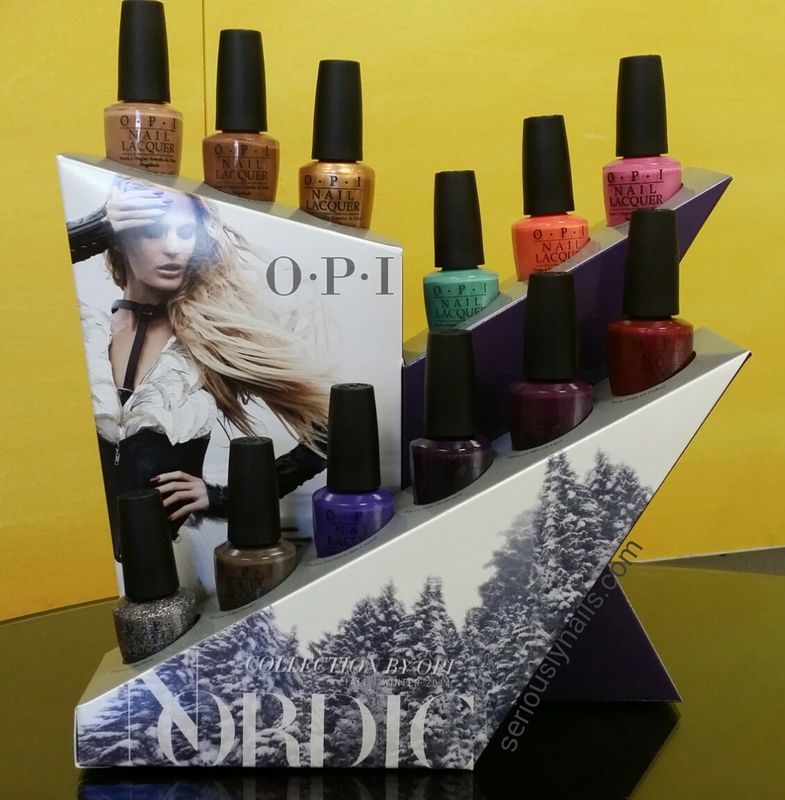 The Nordic Collection from OPI was released August 6, 2014. The collection features shades that reflect the diversity of it’s namesake. From warm caramel tones to glacially greens. Here are each color with the iconic names that OPI is famous for. OPI WITH A NICE FINN-ISH is a perfect bronzy-gold shimmer for fall. Use this for part of your neutral pallet for fall and as accent for nail art! THANK GLOGG IT’S FRIDAY is one of my favorites because it reminds me of an color from OPI’s past. Mother Road Rose has the same depth as Thank Glogg it’s Friday. I love the shimmer and the tone. A very nice winter holiday color certainly! GOING MY WAY OR NOR-WAY is a perfect opaque caramel colored neutral for the fall season. Going My Way or Nor-way? Mmmmm, ICE-BERGERS & FRIES rounds out the selection of neutrals with it’s chocolate shake color! 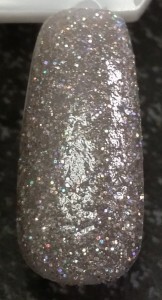 Another great lacquer for nail art, MY VOICE IS A LITTLE NORSE, is a prismatic micro shimmer. 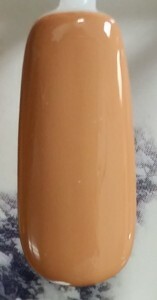 I used two coats of top coat on this swatch to create a smooth surface, but you could keep it to one for a more textured look! This is also a perfect winter holiday hue. 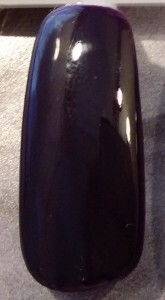 SKATING ON THIN ICE-LAND is a warm and cozy black cherry. This strawberry pink shade proves that SUZI HAS A SWEDE TOOTH! VIKINGS IN VINTER VONDERLAND shows up as a solid deep purple color. Great for adding a dark tone to your nails. CAN’T aFORD NOT TO gives us a creamy coral to keep us bright into the fall season. OPI Co-Founder & Brand Ambassador Suzi Weiss-Fischmann shares her top picks for fall – How Great is Your Dane?, Do You Have this Color in Stock-holm?, and My Dogsled is a Hybrid. How Great is Your Dane? is my favorite; this deep chocolate hue is sophisticated and chic. I agree 100% with Suzi’s choice for DO YOU HAVE THIS COLOR IN STOCK-HOLM? as a favorite pick. I love the deep rich tones. This is what Suzi says about it! Do You Have this Color in Stock-holm? showcases another wonderful trend for fall. 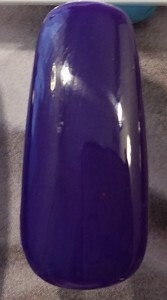 Its blue-violet hue offers a unique alternative to more traditional jewel tones. MY DOGSLED IS A HYBRID gives us that perfect glacier sea water green. Suzi describes it best with this quote and a great fashion tip. My Dogsled is a Hybrid, is a creamy sea green. Similar mint shades have been very popular the past few years; this variation boasts a slightly darker pigment for fall. I recommend pairing My Dogsled is a Hybrid with wool fabrics to lighten up heavy winter wear. These colors also feature OPI’s exclusive ProWide™ Brush for perfect ease of application. My husband loved the collection as well. 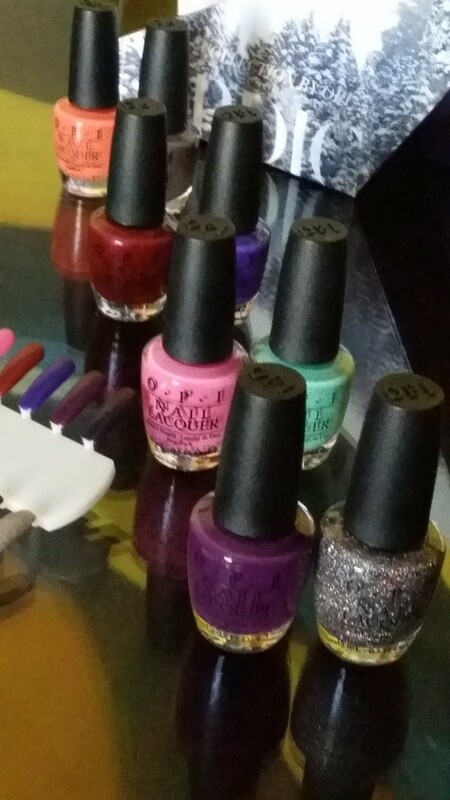 He even paired up colors he liked for me to do nail art with! 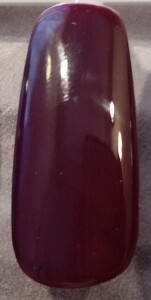 Available at Beauty Brands, beautybrands.com, Beauty First, Chatters, Dillard’s, Pure Beauty, Regis, Trade Secret, ULTA and ulta.com for $9.50 ($11.50 CAN) suggested retail for each nail lacquer. Also available at your favorite OPI distributor for those professional gals! Become part of our Social Media family by following OPI on Twitter and Instagram @OPI_PRODUCTS and become a Facebook fan!